As well as the parade, this year's fearless program features pool parties, balls, colourful after-dark art and moving choral performances. 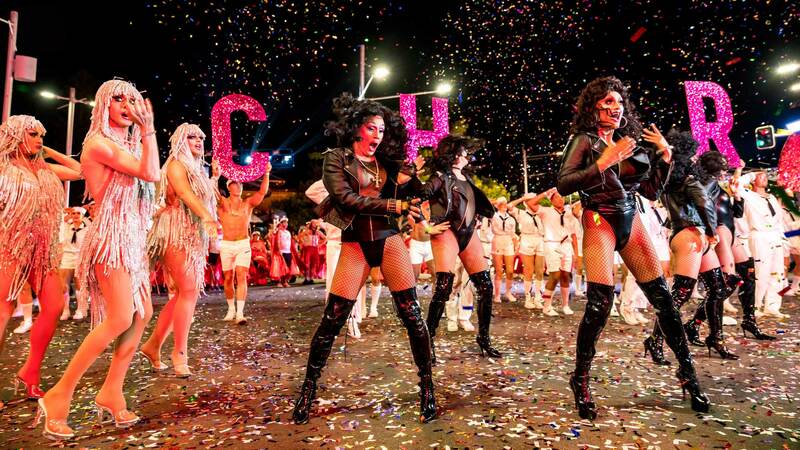 Inspired by the theme "fearless", the 2019 Sydney Gay and Lesbian Mardi Gras is promising more than 100 events and over 400 artists running across 17 days. In addition to the signatures — including the Mardi Gras Parade on Saturday, March 2 — there's a bunch of new happenings this time round. One of the most anticipated is the Strictly Kaftan Party, a new pool party to be held at the Ivy on Tuesday, February 19. Don your favourite kaftan or hottest moo-moo and spend the day kicking back to New Zealand country duo The Topp Twins and various DJs. There'll be prizes for Best Kaftan, Best Cabana Lounging Ensemble and Most Outrageous Summer Accessory. Meanwhile, the Sissy Ball is back for another round, after selling out last year. Taking over Carriageworks on Saturday, February 23, this NYC ballroom-inspired event centres around vogue battles in the categories of dance, movement, fashion and air. In between watching acts of unabashed self-expression, you'll be kicking back to live music and DJs. On a more solemn note is the Requiem Mass: A Queer Divine Rite, which will fill the City Recital Hall with song on Thursday, February 21. This choral work, written by American composer Holcombe Waller in collaboration with LGBTQI+ communities, is informed by research into the persecution that LGBTQI+ people have experienced over the past 50 years. It'll be performed by Sam Allchurch and the Sydney Chamber Choir. 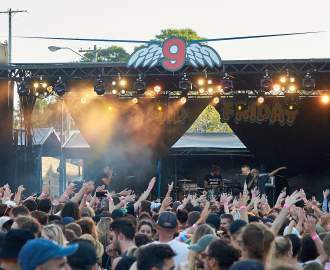 The Seymour Centre, Newtown, will host Mardi Gras Central, the festival hub. Head down there anytime to catch theatre, music, dance, circus, cabaret and burlesque shows. Among the headliners is the inaugural Bent Burlesque, a feast of outrageous underground cabaret, circus, drag and performance art to take place over February 16 and 17 , as well as Club Briefs, set to bring you disco hits and dance moves from Wednesday, February 20 till Friday, March 1. You can look forward, too, to the return of longstanding favourites, including Fair Day at Victoria Park on Sunday, February 17; Pool Party at the Ivy on Monday, February 25; the Mardi Gras Party on Saturday, March 2 at the EQ Moore Park; and Laneway – the Parade's official recovery party – on Sunday, March 3 at The Beresford in Surry Hills.